You have a choice in your healthcare, it’s time you choose wisely. Do you have an insurance deductible? Then this is a must read. Fed up with deductibles? It’s time YOU take control of your healthcare! 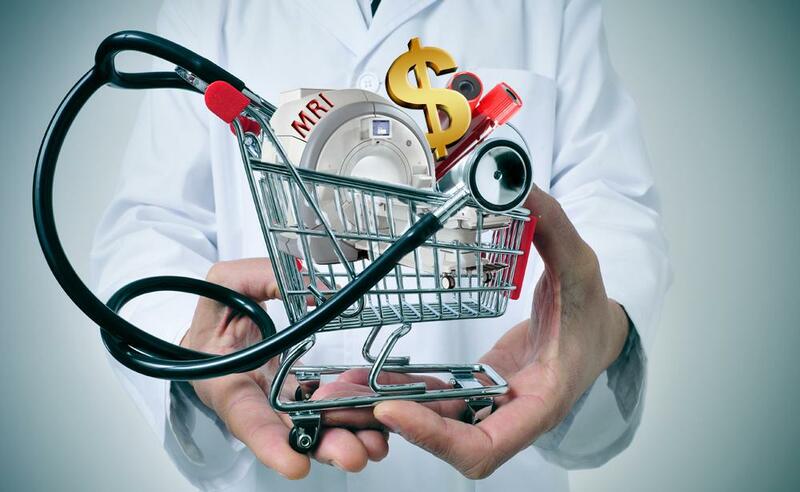 I invite everyone to check out this excellent site: www.mymedicalshopper.com where you can explore how to reduce your medical costs with pricing and quality information on over 9,000 tests and procedures. For many years, many of us were very fortunate to have no deductible insurance plans. In fact, even just a decade ago, only 55% of insurance plans had a deductible, compared to 81% today. Prior to deductibles, it was like going to an all-inclusive healthcare resort where we didn’t ever ask to see the bill since it didn’t matter, nearly everything was covered. Your employer paid most of your premium and you were good to go, life was good. Unfortunately open bar has closed and we’re now all responsible for the tab. A tab that is increasing on average of 17% for premiums and 21% for deductibles for 2017 Obamacare plans and 6% for premiums for employee plans. We are now concerned about the cost, which is why we must now shop around! Because we were so fortunate to not have to worry about deductibles we only had to focus on our care and make sure we picked the right doctor, yes that was really nice. Now, we need to continue to make sure we get the best care for the best price. Research has actually found that there is no correlation between what people pay and the quality of healthcare they get. What many of us don’t realize is that the cost for care is NOT the same across the board. Many of us assume that the cost of lab work, imaging (MRI’s, x-rays, etc. ), and even Physical therapy treatments are all about the same regardless of where or who is doing it. The truth is that there is a huge discrepancy between private practices and hospital based practices. Hospital based care, whether it’s at the hospital or at a hospital owned outpatient satellite, has a significant price increase in comparison to private practice facilities. Hospital’s charge a facility fee which is meant to cover hospitals overhead that a freestanding physician or privately owned clinic would not carry. For example, if you were to go to a hospital for a service vs a private practice, the insurance company pays twice: To the facility and to the provider. The hospitals justifiably have some legitimate reasons to have a facility fee since 1) hospitals provide access to critical hospital based services that may otherwise not be available in the community 2) hospitals have higher cost structures due to offering 24 hr. standby services, and 3) they have more expensive licensing and regulatory requirements. Since the hospitals are essentially getting paid TWICE what the independents are getting paid, this incentive to the hospitals has encouraged them to buy out local independent facilities (Primary care doctors, Physical Therapy clinics, and other Specialists) and turn them into hospital based facilities. Many times they will make no other changes and offer the same services but allow them to charge 2 TIMES what the independent doctor was making. Stephan Zuckerman, PhD co-director and senior fellow of health policy center, urban institute said it best “It is definitely a flaw in the payment system that should be corrected. If it costs more to provide a service in a physician’s practice owned by a hospital, maybe it shouldn’t be provided in that kind of a setting.” This flawed system has allowed for hospital growth to more distant communities which has consequently decreased competition and increased the costs of our healthcare. The remaining private clinics struggle to compete since the hospitals strive to close doors and relationships in hope of maintaining referrals. And now private practices are fighting back with transparency and educating patients on the hidden costs. So, how do we determine who has not only the best cost but the best services? Glad you asked, www.mymedicalshopper.com has created a website that has tried to inform the patients “medical consumer” to choose their care based on price, quality, and convenience. They have integrated actual medical procedure cost data with real-time consumer insurance information in order to create an unparalleled, personal tool. Their driving vision is to reverse the trend of rising healthcare costs and to develop technology to transform the healthcare industry into a fair market for consumers. Yes, consumers! You need to no longer be a patient but an educated consumer that pays less in deductibles, has more control over the quality and price of your care, and understands that there is no relationship between the quality and price of your care. The goal is to empower each consumer and take control of your healthcare, stop overpaying medical care, start choosing based on price, quality, and convenience. Whether or not you have a deductible you need to recognize the power of the consumer and realize that you can make a difference. By using a transparency website you will drive down high cost, low quality care facilities that will consequently give economical force to drive down the inflated healthcare costs. Moving forward, I encourage you to NOT just go where your Doctor’s office tells you to go. They’re usually just going to refer you to their own facilities and why wouldn’t they? Next time, remember you are a medical consumer and YOU HAVE A CHOICE! It’s up to you to make sure you’re getting the best care at the best price. Always do your homework, ask a friend or family member where the best care is and then leave the rest to www.mymedicalshopper.com where you can compare price, quality and convenience. DISCLAIMER – I have NO affiliation with this site. Need urgent care? Convenient MD (www.ConvenientMD.com) This saves you a lot! The price is the cost of a copay to your PCP compared to the cost of ER where most of us have a $500 copay. Need medical care and want the best quality for the least cost?